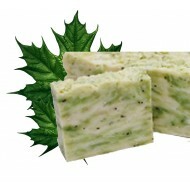 Exotic Lathers Handmade Organic Soaps are Devine! Our handmade soaps contain no genetically modified oils. We add no parabens, sodium lauryl sulfate, unnatural preservatives, or petroleum products to our soaps. All soaps are vegan with the exception of soaps containing goats milk. Buy with confidence for you and your family. Our Exotic Gift Baskets are Perfect for any O..